How does a livestock guard dog work on Kinderhook Farm? 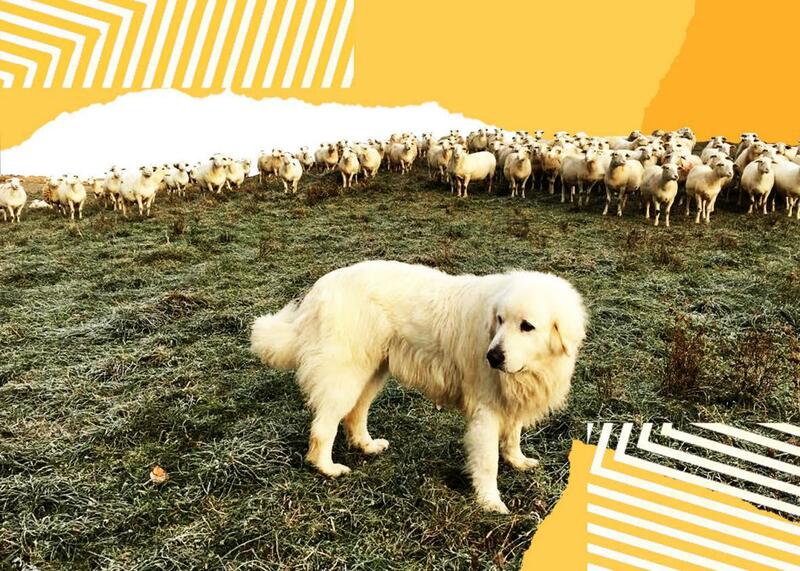 This Maremma wants little more than to mind his flock. Photo illustration by Slate. Photo by Georgia Ranney. In two of our recent episodes, we’ve heard about livestock guard dogs that keep other working animals safe. We wanted to learn more about those protective pups, so in this episode, we chatted with Georgia Ranney of Kinderhook Farm in Ghent, New York. While several dogs live on the farm, Ranney focused primarily on one named Sarge, a stoic and handsome Maremma who’s been looking after the sheep for years. We learned about the details of Sarge’s working life, from the perimeter checks he performs before the flock enters a new paddock to the way he works collaboratively with other dogs to ensure the safety of the animals in his care. And, of course, we heard about how he relates to the humans on the farm as well. Then, in a Slate Plus extra, Ranney tells us a delightful story about Sarge that we couldn’t fit into the main episode. If you’re a member, enjoy bonus segments from Working, plus other great podcast exclusives. Start your two-week free trial at Slate.com/workingplus.